Animal Crossing is one of the most beloved Nintendo titles of all time, and the majority of people who have owned a GameCube or Wii would agree with that statement. Animal Crossing was both developed and published by Nintendo, and has gained a massive amount of success since its inception in 2001. In fact, more than 23.711 million units have been sold worldwide. The latest installment in the series, Animal Crossing: Happy Home Designer, will be released on September 25th, but thanks to a numerous amount of sources, we have had the opportunity to check out early footage of the game, and I am here to compare and contrast this title with others in the series. For those who are interested, check out the game's official E3 trailer here. 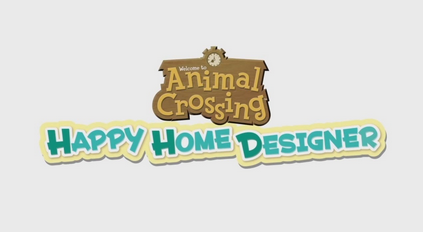 For starters, Animal Crossing: Happy Home Designer is nothing like the other games. If you are interested in a game based around building your town and exploring, then this is definitely not the game for you. Happy Home Designer is strictly based around decorating and designing other villager's houses, which I know, is a huge shocker. The process of designing homes can become very tedious, very quickly, that's why later in the game, you will be given the ability to design community buildings in the town square, such as a school, a restaurant, or even the town's bridge. Before I continue on, I would like to take the time to discuss the differences between this title and other games in the series. As I stated in the previous paragraph, this game focuses on designing houses. However, sitting down and designing houses for a few hours can become very redundant and boring. Other games, such as Animal Crossing: New Life, consistently keeps you on your toes by supplying you with different tasks or allowing you to explore different parts of the region, whether it be the downtown area or Tortimer Island. In Happy Home Designer, you aren't really assigned to any difficult challenges. You will be given a specific theme from a villager, then you must choose a place for that specific villager to build their house, and then you can design the interior with furniture, carpet, and wallpaper. In Happy Home Designer, you are given the responsibility of designing over 300 different animal's homes, and as you progress through the game, you will unlock different items and styles that will eventually benefit you when designing homes. The concept is extremely simple, but, it's somewhat entertaining. Overall, the game was absolutely nothing like other Animal Crossing games. As much as I loved designing my house in both City Folk and New Leaf, it just was not the same. In City Folk, you had more of an incentive to design your home and make it your own. I remember back in the day spending hours of my time playing Animal Crossing, and it was generally fun. This, Happy Home Designer, just isn't the game I remember playing as a youth. There is no real sense of progression, which is a huge turn off for me, and I know is for others too. Now, don't get me wrong. I'm not saying that Home Designer is a terrible game, I am just saying that it's not personally the game for me. I am disappointed with the latest installment, but I hope Nintendo is thinking of new and interesting ideas for the next Animal Crossing game. I look forward to seeing what else is in-store for us. If you plan on purchasing this title for your Nintendo 3DS, please leave your opinions and comments about the title down below. I look forward to hearing about your experiences with the game. Jack and Pyroman like this.